Grayson Robert Baker will be three years old this Sunday. 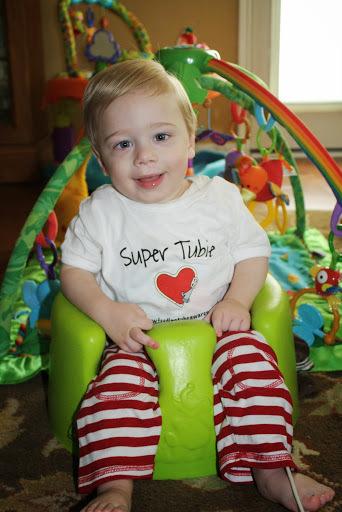 His three years of life have been filled with love, laughter, and sweet tender moments. But the story of his life is also one of pain, uncertainty, and many unexpected events. 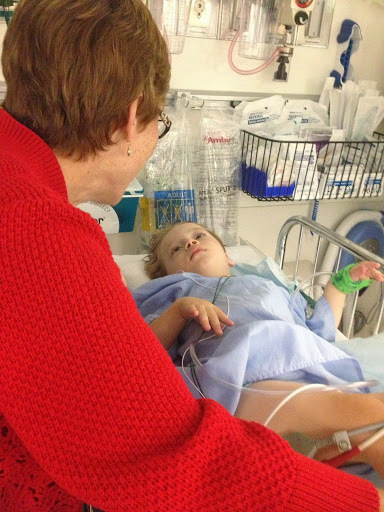 The journey of any child or person living with Mitochondrial Disease is one of ever ending challenges. 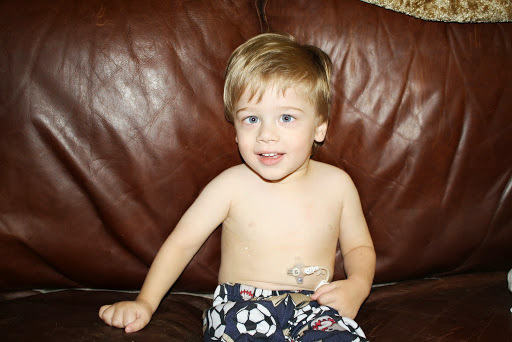 This is Grayson’s story, told in pictures and by his Beads of Courage beads. The color or shape of each bead represents one part of his journey. The colors in parentheses in the rest of this post details which beads represent what. 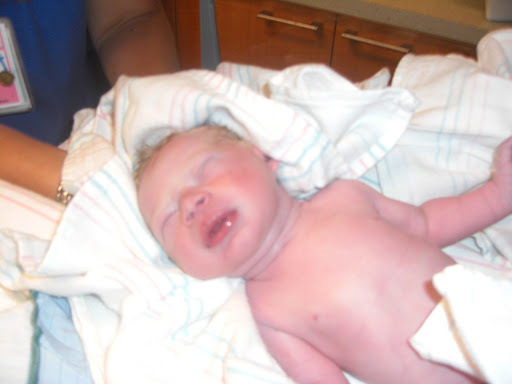 On September 22, 2010, we were blessed with a tiny, yet seemingly healthy baby boy. 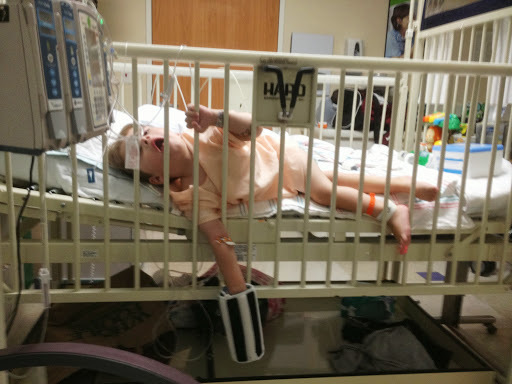 At 5 days old, Grayson had his first ambulance ride (magenta) spinal tap (tortoise), IV and blood draw (black) and stay in the pediatric ICU (square heart). Unfortunately, this would only be the first, not the last time he would experience all these things. 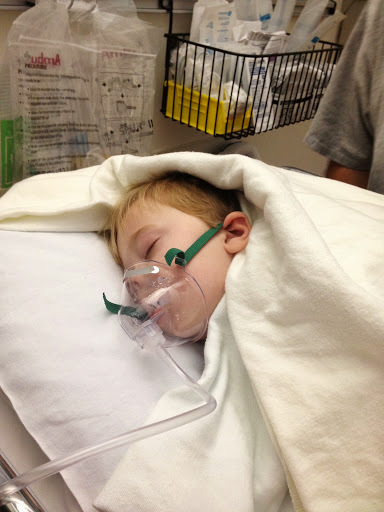 Although scary, after his first hospitalization, we thought he just had a rough start and would now grow, thrive and develop into a “normal” kid. 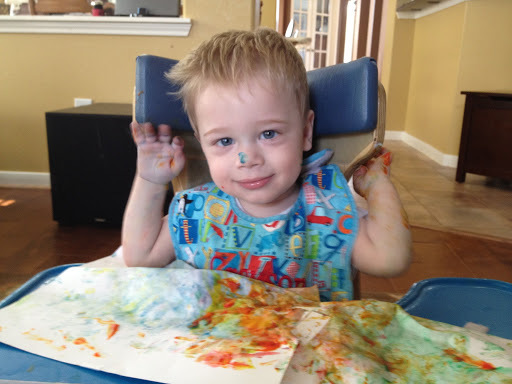 Then at about 3.5 months old, he wasn’t meeting age appropriate milestones. 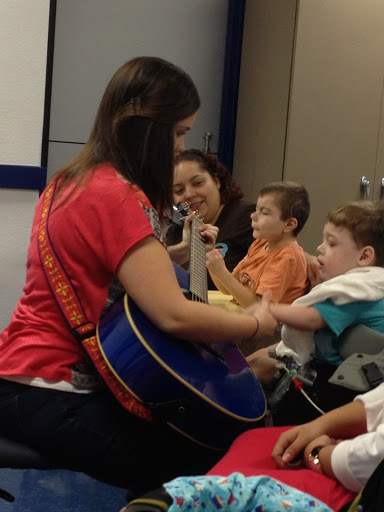 We started therapy (rainbow), and since those early days, Grayson has had hundreds of sessions of PT, OT, Speech, music, and vision therapy. 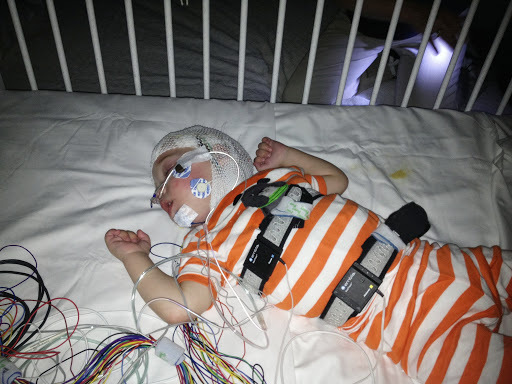 At 7 months old, Grayson had his first EEG (Glow in the dark), although he didn’t actually have his first seizure until he was just over a year old. 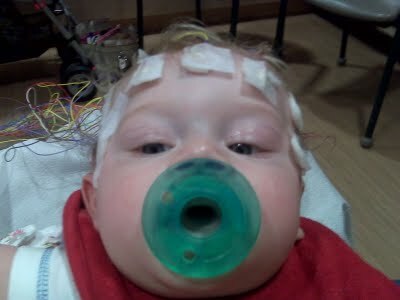 The EEG was just one of many tests and procedures Grayson endured in the first year and a half of his life leading up to his diagnosis of Leigh’s Syndrome. 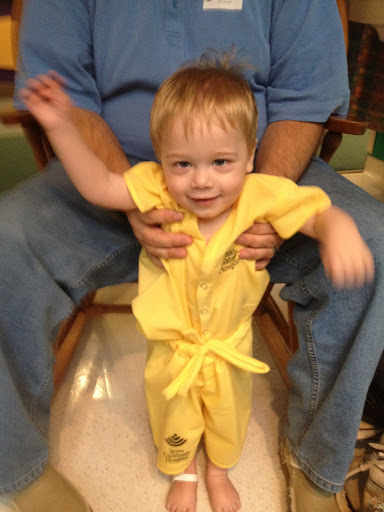 Grayson has been in an ambulance (magenta) 5 times and been admitted to the hospital and had to stay (yellow) in what equates to over a month of days since he’s been born. And we’re always so thankful when he gets to come home (even if he has to ride out with the luggage)! 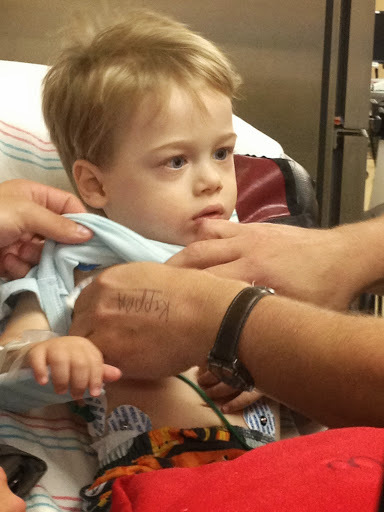 Although difficult and stressful, we are so thankful for modern medical technologies like MRI, CT, EKG, and X-rays (light green) that aided in pinpointing exactly what’s going on in our little boy’s body. 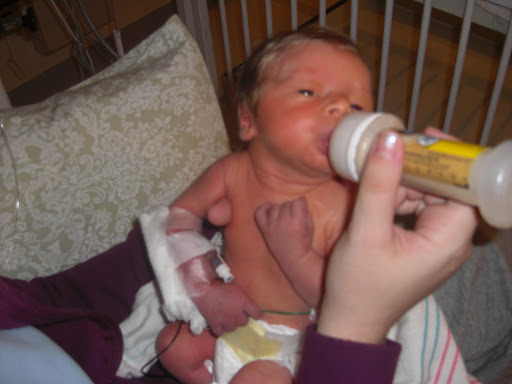 And we are also abundantly thankful for feeding tubes (aqua), which supply 100% of Grayson’s nutrition. 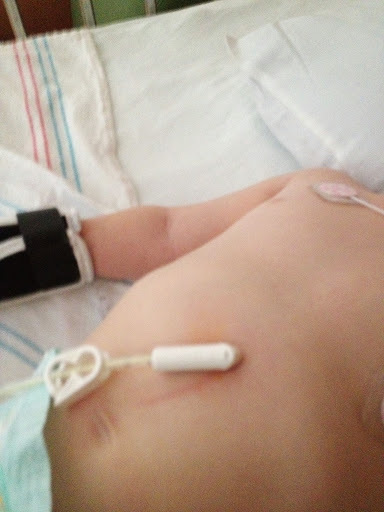 We will no doubt be adding lots more beads to Grayson’s BOC strand, but it’s an amazing way to tell his ongoing story. 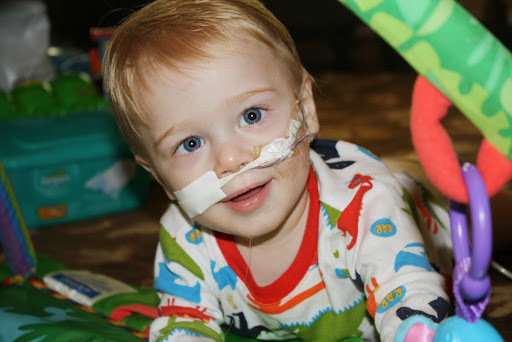 If you haven’t already, please consider attending the Beads Inspired event on September 28 to learn more about Beads of Courage, Mitochondrial Disease, and Grayson. Click here to get your tickets. 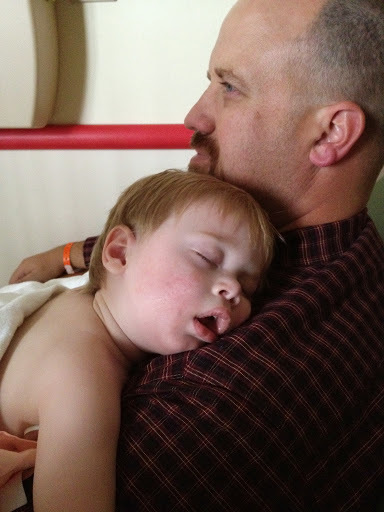 Thank you for helping spread awareness this week about Mitochondrial Disease. 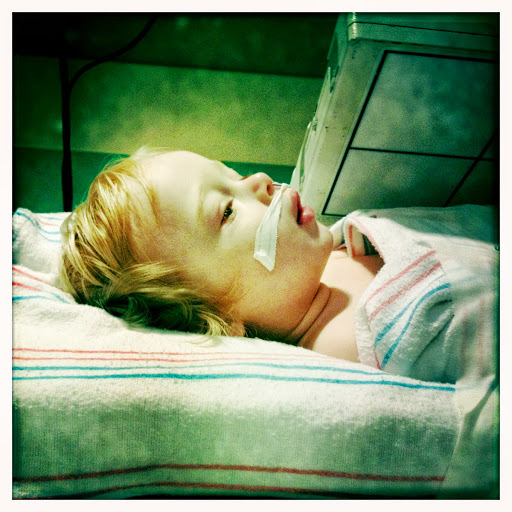 Remember, not all children with Mito look sick. 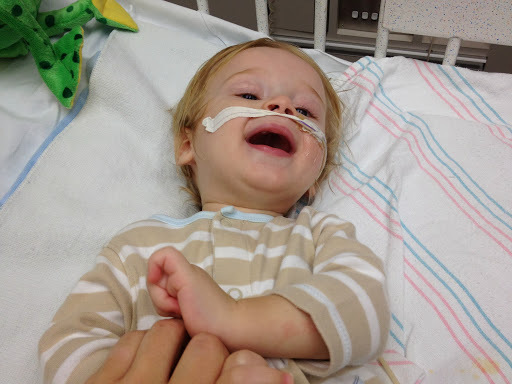 Although he is unable to sit up, walk, or talk, and has his feeding tube connected at all times, on a good day, Grayson “looks” healthy. 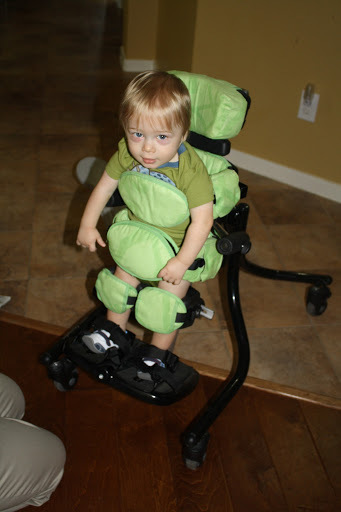 Many people see him in a stroller and don’t know anything is wrong. 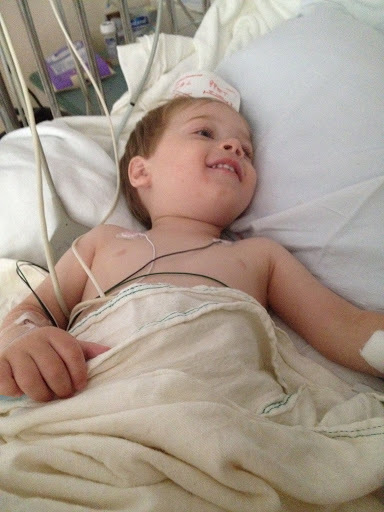 A lot of kids with Mito appear healthy, act like other kids, but their cells do not function properly. Many can walk, but not long distances and especially not in the heat. Please consider this when you see a person who appears to be “normal” get out of a car parked in a handicap spot. Not all disabilities are visible or obvious. 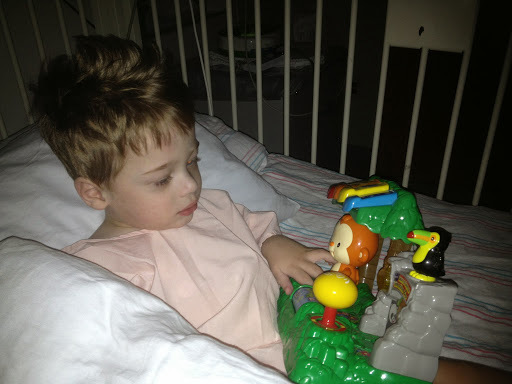 Grayson and his Mito buddies thank you for all your support! 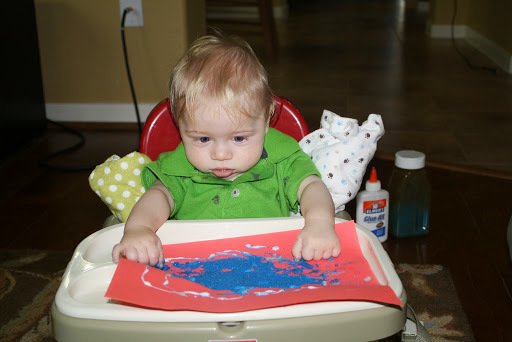 I am so glad you explained the beads! I've been wanting to know more about them and what they represent. Great story. Yaaaa, G-man is about to be three! He is growing and looks so good with those big blue eyes. 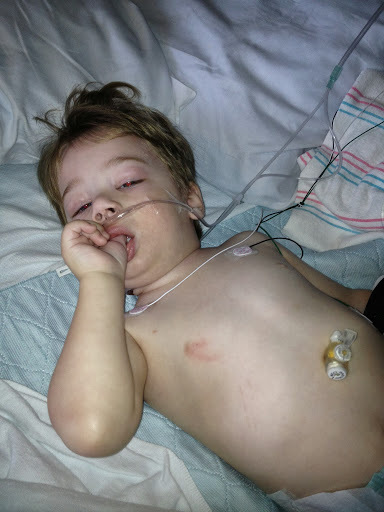 It hurts my heart to see all of the beads because I know what his little body has gone through. (didn't know there was a bead for therapy, must get one for Kaiman)Happy b/d G-man a bit early and hope to see you soon. You are such a great mother. Don't ever think you are not. 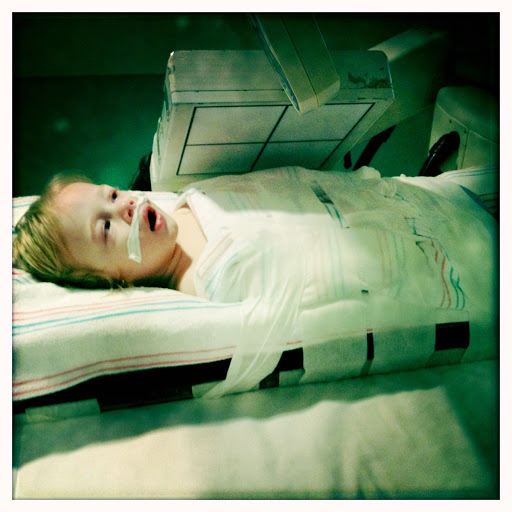 I'm still praying for Grayson. Tell that little man HAPPY BIRTHDAY from me! !